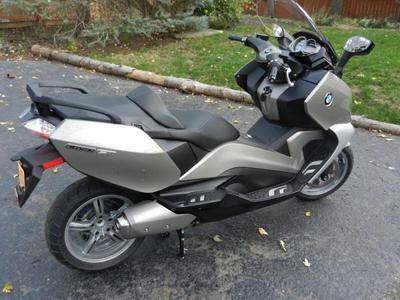 The 647cc 2014 BMW C650GT for Sale is a nice motor scooter that currently has just 7 total miles on it! The paint color of the C650GT is for vermillion red and it's priced low to sell FAST! Go here to see more. The mileage on this BMW motor scooter is just 7...that's right! Seven miles only! $4,000 to make a quick sale. Email me regarding the BMW motor scooter using the comments form found below that has been provided by GoGoCycles Used Motorcycle Classifieds for your convenience.